A portrait of a Mandari youth and girl sitting near the ashes of a cattle-camp fire, his hand on her shoulder. Behind them can be seen cattle and forked posts, on which some gourd containers have been hung. Morton, Chris. 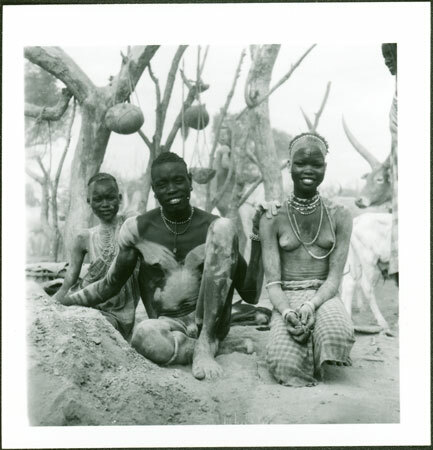 "Mandari Köbora group at cattle camp" Southern Sudan Project (in development). 03 Jan. 2006. Pitt Rivers Museum. <http://southernsudan.prm.ox.ac.uk/details/1998.97.292.2/>.